Soon after its discovery by Portuguese sailors in 1431, the Azores first inhabitants brought the viola from Braga, Portugal, the so called “viola braguesa”; however, with the invasion and presence of the Spanish in the Azores for sixty years, ending in 1640, the Spanish guitar was introduced to the general population. Soon after, the ever-creative inhabitants of Terceira Island merged both instruments into a new one, creating the worldly unique marvel—a viola da terra with 15 strings. This instrument has 15 steel strings—double strings in the lower three orders and triple strings in the upper three. Its tuning is, from lower, E, B, G, D, A, and E. It is played using the index finger ton picking melodic lines (lower orders) and the thumb on the upper orders for rhythm and respective accompaniment. 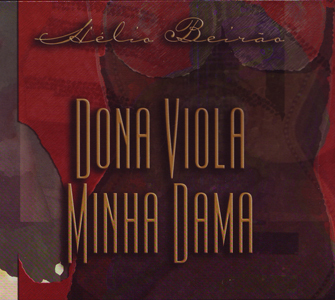 In the process of enriching the Azorean Folk Music and the instrument itself, until now played in the lower three orders, Hélio affirmed that the viola da terra had the capability of executing neo-classical music, catapulting the instrument from its role as an instrument of folk music to a one in the center stage of a concert. Committed to enhancing the musical opportunities within multi-secular melodies and motivated by his passion for the Azorean culture, he reached into his inner most creative soul to find the inspiration for his original compositions for the viola da terra.